John is Chair of the firm's Estate Planning Department. He also leads the firm's Senior Partner Committee, and is a member of the firm's Finance Committee. John, a former Certified Public Accountant, began his career in the tax department of the big four international accounting firm of Deloitte. 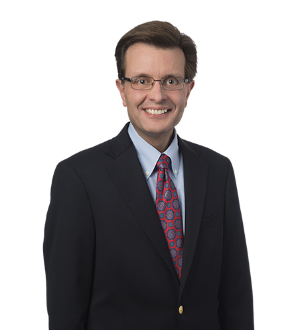 John's practice focuses primarily on estate and trust planning and administration, preparation of prenuptial and postnuptial agreements, as well as charitable and family-owned business planning. As he develops relationships with his clients, John creates and implements plans for individuals and families that help them successfully transition their assets/wealth in a beneficial manner. With his accounting and tax background, John is adept at developing plans that are tax efficient, for both this generation and those to follow. Additionally, John's counsel to his clients includes detailed explanation and follow-up to ensure a solid understanding of the developed plan. John is licensed to practice law in both Kentucky and Indiana and has a strong client base in each state. John's strong relationships with his clients often result in him becoming their outside general counsel for all of their legal needs. In this capacity, whether for individuals or businesses, he successfully manages and oversees matters in other legal areas such as labor and employment, litigation, real estate and corporate. John has experience with clients in industries such as movie theaters, restaurants, family­-owned farms, entertainment, franchising and manufacturing. He serves as legal advisor and outside general counsel to private equity firms and family businesses. He has been involved in the acquisition and selling of multi-million dollar real estate ventures and businesses; assisted in the successful transition of businesses to succeeding generations; overseen creation and implementation of human resource materials; and successfully litigated disputes involving estates, trusts, businesses and individuals.